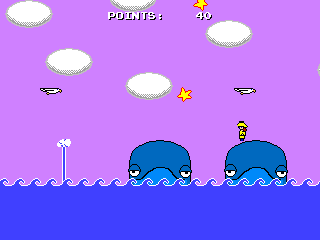 Out on the ocean, atop the whales, you must collect as many stars as you can. Press ‘X’ to jump. Arrow keys to move. This game was created for Pirate Kart V. I was inspired to make this after playing a bunch of Game & Watch games. I Enjoy Being a Whale! An exploration game! Eat the krill and explore the ocean’s secrets! Made for Klik of the Month Klub #38.